Golf Lessons, Putt Putt Courses, Golf Retail Shop and the best Driving Range! The best golf lessons in Sydney! 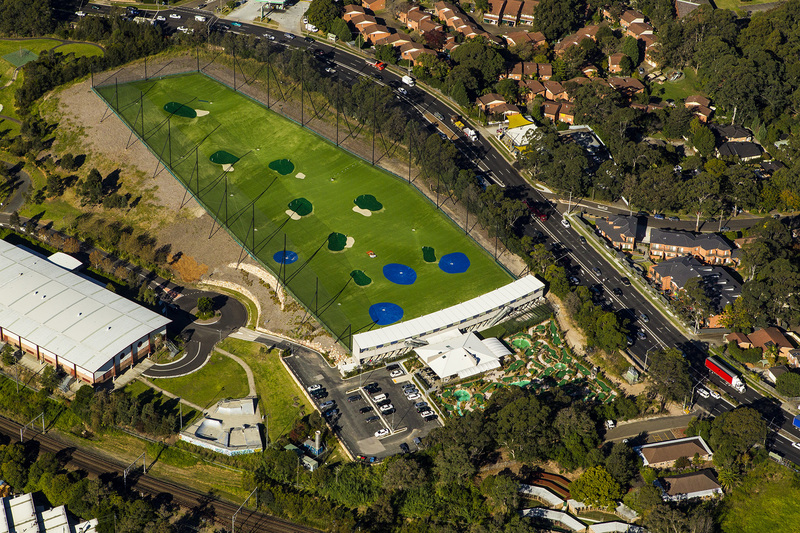 Thornleigh Golf Centre opened in July 2012 and has established a new bench mark for golf practice ranges in Australia with the best golf lessons available from some of Australia’s finest. We guarantee you will enjoy the experience whether you’re a beginner looking to learn the basics of the game or an experienced club golfer. Our golf range features some of the best ideas we have seen around the world including a synthetically turfed and contoured landing area with raised greens and auto ball return. Our 56 hitting bays use the best Fibrebuilt mats, 20 of the bays are equipped with full auto tee-up technology. We use Srixon range balls exclusively. Our 2 eighteen hole putt putt Sydney courses, Palms and Billabong, are great for birthday parties, or a social catch up with friends and have become very popular for Corporate Golf Days & events. We also have function space available for the parties or corporate events to continue. Our function space has everything you need to run a professional conference or offsite workshop. A number of community groups such as Probus, Lions Club and Rotary Clubs are regularly conducting their meetings at the centre. After you hit some balls, participate in golf lessons or practice your putt putt Sydney style, relax in the Bunker Café enjoying a coffee and logging into our free wifi, or browse our golf retail shop, where we are carrying all the leading brands at competitive prices. Looking to further hone your golfing skills and would like the help of a professional? Our team of Golf pros are on hand for private and group golf lessons including junior golf clinics. Our team is led by Steven Aisbett, an Australian qualified PGA member who has trained 10 juniors who have since become PGA professionals. We also have a dedicated short game practice area where you can work on your putting, short chips and bunker play. If you would love to play putt putt in Sydney, Thornleigh Golf Centre is the ideal new base for practice and all your golfing needs. We’re committed to “promoting the game of golf” in our community. Our mini golf courses are the ideal youth group activity and group discounts are available just ask for details. So book golf online today or call us to find out more.